This is photo #14 (of 50) in a series about our life in Brazil. 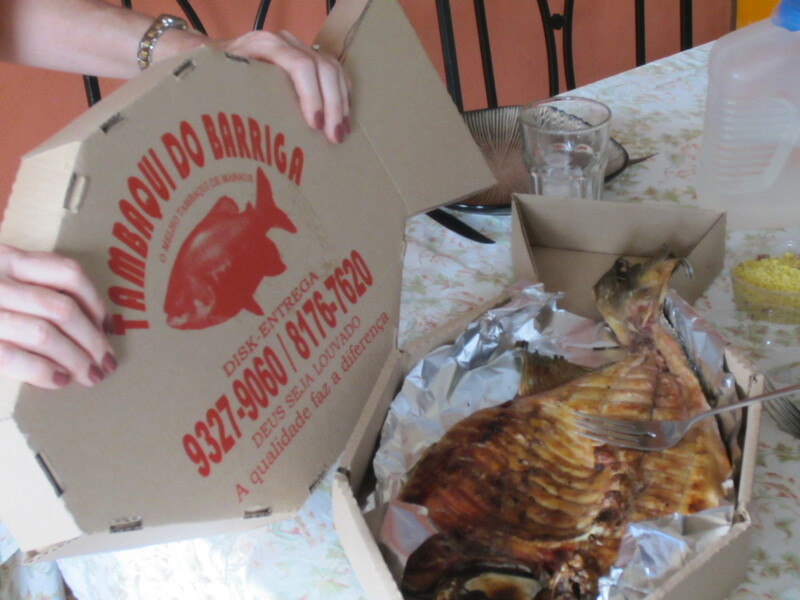 In the States you can send out for pizza, but if you live in Manaus, Brazil you can send out for this gorgeous roasted fish. So good! Looks GREAT and YUMMY ~ In Burundi you can send Wayne out to the kitchen to look for a cookie !! So excited for the SAFMC team and then the Wenatchee team to arrive to give a much overdue face-lift to a house and several of the buildings at the school…..painting, repairing windows, ceiling tiles….